82% of brides think that “boudoir photography" is a great gift idea for a wedding or for Valentine’s Day finds a new survey conducted by BrideBox for the upcoming Valentine’s Day. "82% of brides: “boudoir photography" is a great gift idea for a wedding or for Valentine’s Day"
BrideBox, a company offering professional wedding albums catered toward brides, partnered with The Wedding Report Inc, a research company specializing in the wedding markets, to conduct a survey for the upcoming Valentine’s Day. The survey found that the popularity of boudoir photography is fast growing. Boudoir photography is a type of professional photography in which the subject is wearing suggestive clothing, typically lingerie, and posing in a sensual manner. The purpose is to capture the subject’s sexuality, allure and femininity in a tasteful and classy way. 92% of participants had heard of boudoir photography prior to the survey. While almost three quarters have considered partaking in one, only 24% have actually participated in a boudoir photography session before or within 12 months of their wedding. Perhaps pricing can explain this gap. 73% of participants were willing to pay up to $500 for such a shoot. However, in reality, most boudoirs packages cost significantly more than that, since photo shoots of this nature require more than just good photography. A boudoir package typically includes makeup, hair styling, eyelashes and even tanning. The shoot itself will consist of multiple background settings and typically three outfit changes. And that’s all before the actual album; a professional album can easily cost an additional $350 to $1,000. But this total price point of $500-$1000 sounded attractive only to about 12% of brides in the survey. BrideBox Blog offers many informative articles about boudoirs including: How to Get the Best Results from Your Boudoir Shoot, Classy Bridal Boudoir Outfit Ideas, Bachelorette Party Idea: Boudoir Photo Shoot, and many more. 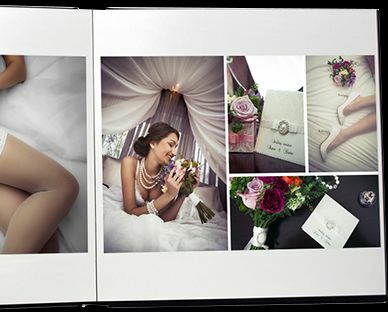 BrideBox is devoted to helping couples design their own wedding albums, at a more reasonable price. The BrideBox line of wedding albums offers unmatched quality, without sacrificing top photo finishing that mark a professionally produced album. Through the BrideBox software platform, couples can create albums that are constructed with the same individual attention of imaging professionals, with a significant cost saving. Find BrideBox on Facebook -http://www.facebook.com/BrideboxWeddingAlbums. BrideBox Boudoir AlbumsBoudoir albums not only make memorable wedding day gifts, but they're perfect for anniversaries, Valentine's Day, holidays, birthdays or just because!